Over two decades after the release of their debut album, Austin-based trio Fastball is just getting started. Still comprised of Miles Zuniga (vocals/guitar), Tony Scalzo (vocals/bass) and Joey Shuffeld (drums), Fastball has nothing left to prove. They’ve achieved everything that all bands strive for when they first get together – a record deal, tours, hits (1998’s “The Way” is their biggest so far) and respect. Now that they’ve been able to step away from the spotlight for eight years, they sound refreshed, focused and re-energized. But please don’t call STEP INTO LIGHT a comeback album. Comebacks are often desperate attempts at replenishing the bank accounts by taking advantage of fans’ fond memories. Fastball is merely picking up the bat, taking a swing and knocking another one out of the park. STEP INTO LIGHT is a fantastic album that reminds people just how good this band has always been. In fact, it may be their most consistent full-length platter to day. The boys have a home run on their hands and they’ve left their contemporaries – new and old – in the dust. Again. STEPHEN SPAZ SCHNEE: STEP INTO LIGHT is just about to be released. How are you feeling about the album and the reaction to it so far? MILES ZUNIGA: There’s a nice buzz around the record. We recorded it a while ago so it’s nice to finally be able to share it with our fans. 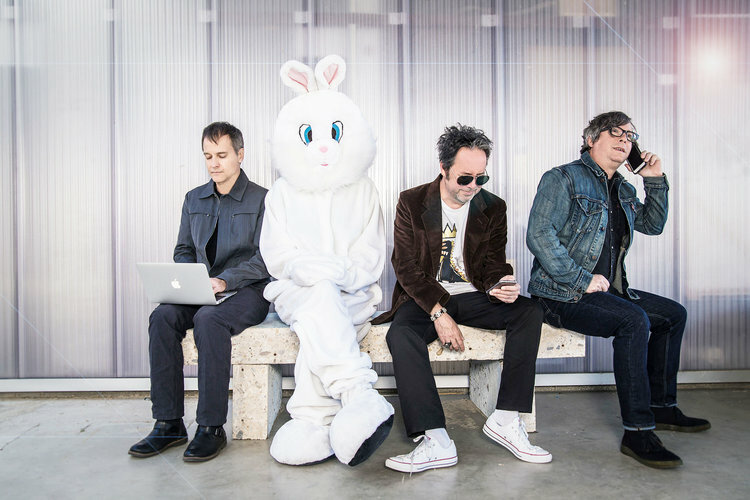 SPAZ: This is the band’s first album in eight years. Did the band initially split up or were you on an extended hiatus? MILES: We take long breaks to do other stuff but the band has never broken up. It’s still the same three guys as it was on day one. Twenty-three years and counting. SPAZ: Fastball has always been about ‘the song’ and STEP INTO LIGHT might actually be your finest album to date. What inspired this batch of songs? 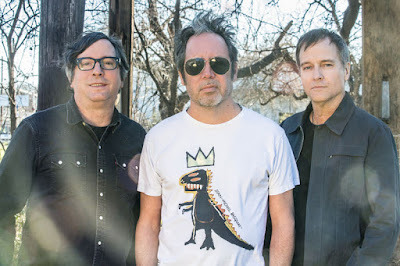 “Best Friend,” “I Will Never Let You Down,” “Step Into Light,” “Frenchy And The Punk,” “Just Another Dream” and “Secret Agent Love” are some of the best Fastball songs thus far. MILES: Thanks. “Best Friend” was written way back in 2001. “Step Into Light” I wrote in Venice Beach as the light was literally pouring into this room I was in. It was a beautiful day in Southern California. “Frenchy and The Punk” is a bit of surrealism inspired by the theme from Up. I was also dating a French girl and I ran into Chris “Frenchie” Smith at a restaurant. He ended up producing STEP INTO LIGHT with us and those two helped inspire the lyrics. SPAZ: The album perfectly balances the maturity of the band as a writing/recording unit and the energy and charm that you possessed on your debut. Can it be difficult to get back to that feeling you had when you were first starting out? Or do you feel more comfortable and confident at this stage in your career? MILES: You can never go back. We’re pretty confident at this point in our career. The music just kind of flows. The stuff that doesn’t flow gets left on the cutting room floor. SPAZ: There’s a real sense of musical history that has always informed the music of the band. Some of the tracks on STEP INTO LIGHT recall Elvis Costello, Bob Dylan and many other classic songwriters yet they remain distinctly Fastball. What have been your influences over time? MILES: Both of those guys as well as hundreds of others. For me, It’s The Beatles along with the heavy metal I heard as a kid (AC/DC, Van Halen) along with Dylan, Tom Waits, Bowie, pretty much anything, It’s hard to pin down. SPAZ: Did your early success allow the band the opportunity to experiment and grow on later records or have you ever felt that you had to conform to other people’s expectations because of your early hits? MILES: We pretty much had one shot to try and emulate our hit songs and we never tried. We don’t know where the songs come from, it’s a mystery. Maybe we should’ve written a song called “Out Of My Way”. SPAZ: STEP INTO LIGHT almost feels like a rebirth of sorts for the band. Do you feel that way? And how difficult has it been to keep the original trio together for nearly twenty-five years? MILES: I do feel like it is a rebirth, and I’m smart enough to know that we’ll never be here again, so surf’s up. We’ve taken a lot of time off. I think that’s a big reason why it’s still the same three guys. SPAZ: Since this is your first record in eight years, do you feel like you are starting from ground zero again? 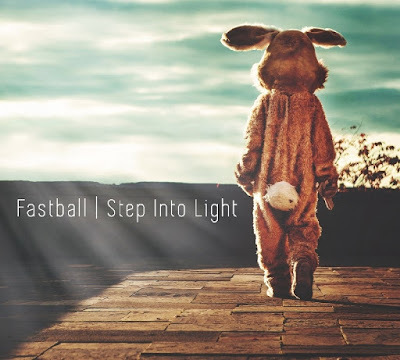 It must help that you have a built-in fanbase but there’s a new generation of kids out there who are just about to experience Fastball for the first time with STEP INTO LIGHT. And does that add a sense of excitement to this release? MILES: I don’t feel like we’re starting over. We have a passionate fanbase. We’re all way better musicians and we’re getting along better than we ever have. I feel like those kids are lucky because if they buy a ticket to see Fastball they won’t be disappointed. SPAZ: What’s next for Fastball? MILES: The latest release from Tinariwen (ELWAN) has been getting a lot of spins on my turntable.